But there are those rare moments when the husband is off from work where I can grab a few minutes of peace and quiet and sneak away for a little mommy time. Even when we know we deserve a little break from it all, sometimes it is hard to escape the mom guilt. 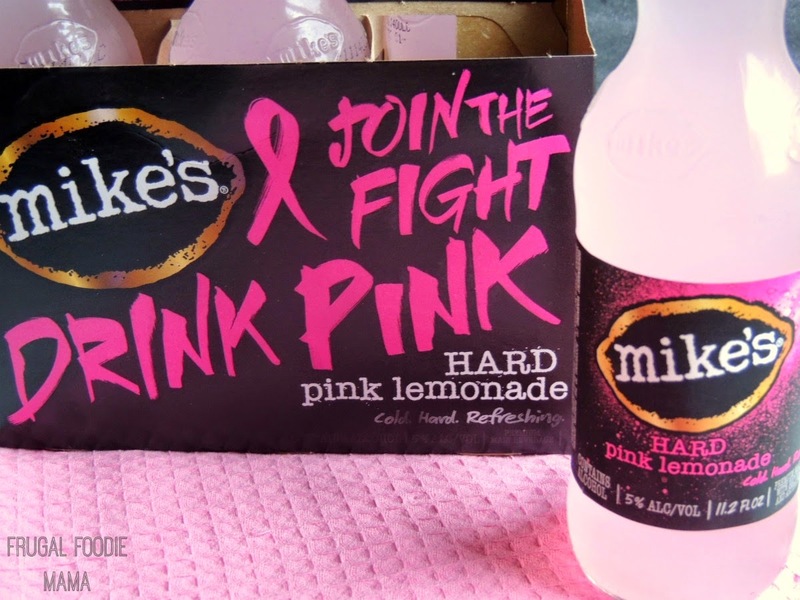 But when you enjoy a mike's pink hard lemonade, you can feel good about your moments of me time because you are also helping a good cause- helping mike's hard lemonade raise awareness and money for breast cancer research. 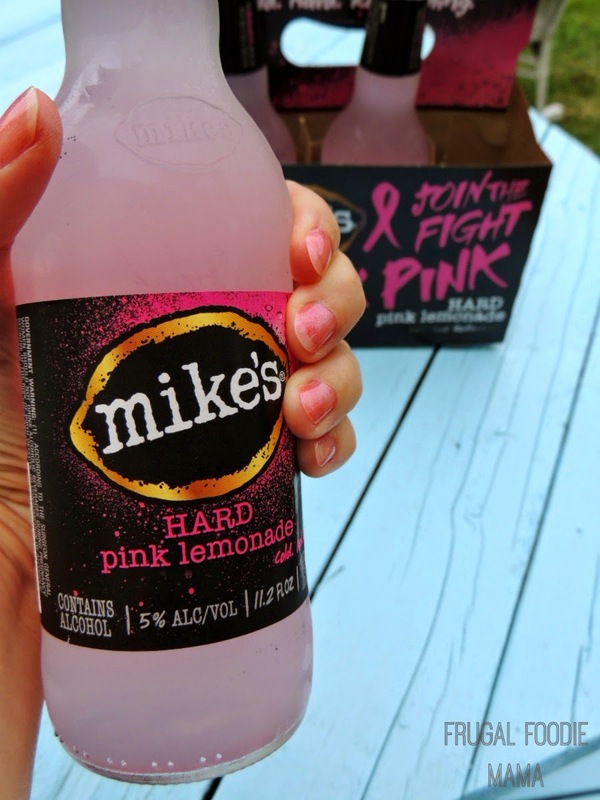 Since 2009, mike's hard lemonade has been seasonally releasing their hard pink lemonade in honor of Breast Cancer Awareness month and has contributed more than $1 million to breast cancer research as a result. You can find this limited edition of mike's hard lemonade on shelves from now until some time in October. As some of you know, raising breast cancer awareness and funding for breast cancer research are causes near and dear to my heart. Ever since my friend Kate was diagnosed with Stage IV breast cancer over 2 years ago, I have been coordinating and hosting the Baking For Kate event each May to raise funds for her and her family. Most of you all who know me know that I am usually more of a beer gal. But I was pleasantly surprised by how refreshing and not overly sweet this mike's pink hard lemonade is! :) That can be credited to the fact that mike's only uses real lemons- the juice and the zest- to make their hard lemonades. 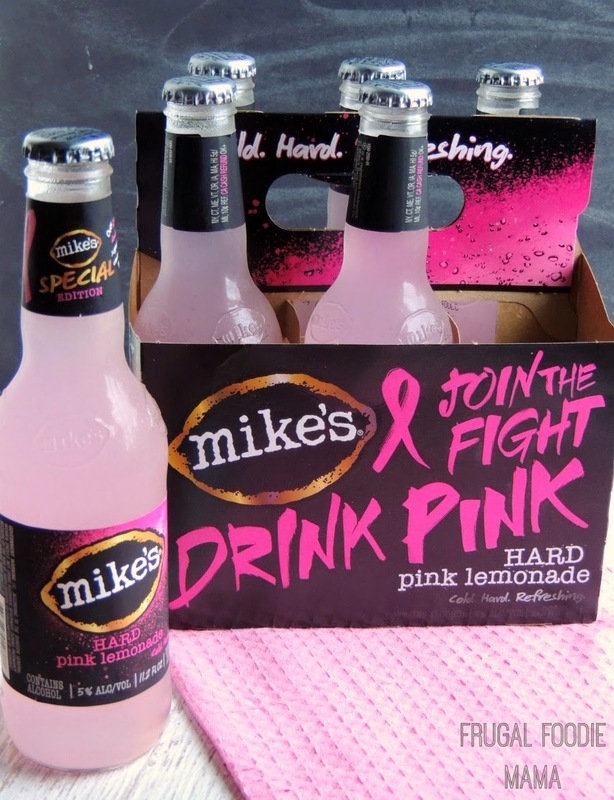 Will you "Drink Pink" this season and join mike's hard lemonade in the fight against breast cancer?